An exclusive father-son interview with Renzo and Andrea Rosso, the creative brains and hearts behind DIESEL and 55DSL. A few weeks ago I got invited to the headquarters of DIESEL in Breganze, Italy to explain my book’s content to an interested and interesting crowd of marketing and communication executives working for DIESEL and the 55DSL brand worldwide. For me personally, it was great to meet the family behind one of my love brands. I got a tour around the Breganze Campus where prototypes of new clothes are designed and people from all regions of the world and different age groups mix and blend their creative ideas and experience. I was of course very pleased to get the chance to have a chat with Mr Renzo Rosso, founder and president of DIESEL and the OTB holding (consisting of upscale luxury fashion brands such as Maison Martin Margiela, Viktor & Rolf) and one of his oldest sons (Mr. Rosso has 6 children!) 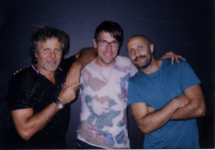 Andrea Rosso, who is currently the creative director of 55DSL, but recently also took up responsibility for DIESEL licenses such as eyewear, watches, furniture, cycles etc. Here’s the result of our exclusive father-son duo-interview. You’re both part of different generations, do you see differences in the way you look at things in life? Andrea: I think the way you look at things is not related to your age but rather to your education. But perhaps if I visit a city I would notice different aspects than my dad. Although it’s the same city with the same buildings and streets, I would focus on different stuff than my dad. But in the end, for instance when we travel together, we do see a similarity in the beauty of the things surrounding us. And that is probably family and DNA related. We share the same family values. 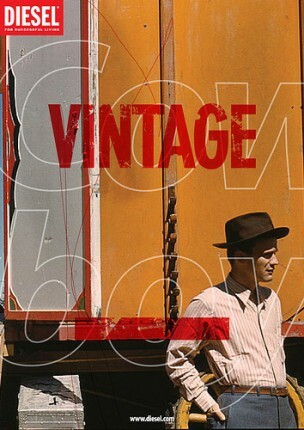 Renzo: Things today are totally different when you compare them to the era when I was born. I got my education just after the Second World War. There was really nothing. I was born in a little farm, there was just one car and one television for the 3,000 inhabitants of the village. My father taught me that America was fantastic, because the Americans had saved the Italians in the war. So to me discovering America was like a big dream and when I went there for the first time, aged 20, arriving in New York was like coming home. I had dreamt so many times about Coca-Cola, James Dean, the American cars, chewing gum etc. So to me, discovering a big city like that was an amazing experience. And I wanted to achieve something in my life. Our company has grown from nothing until where we are today. When I compare this to my own children and to the young generation today – at least in industrialized countries – they have everything. My parents taught me to respect the value of small things in life and respect others. I have been trying to give my children the same education. They had to gain success themselves and work hard to get a bicycle not just get it for free as a gift. I am quite proud that in my family we still share these values whereas today younger generations sometimes want everything faster and without any respect. I’ve read that Andrea studied in New York too, did you want him to have the same experience and background like you? Renzo: Both Andrea and Stefano (other son of Renzo also working for OTB – Only the Brave –the holding) studied in NY. But it was his personal choice. After Andrea’s secondary school I told him: “go away”. I didn’t care where he was heading but to understand life, you shouldn’t stay too long with your parents. If you move out, you have to rent a house pay electricity, cook and clean yourself, find a job and maintain your own life. That’s how you learn to value different aspects of life. That’s why I send all my children out. Andrea went to California and for one year he did basically nothing else than surfing… And I really didn’t care, I did respect him. Renzo: One day he called me and told me he had registered for the university. I tought he was joking, but he wasn’t. He decided on his own to go to the Uni. For me that was fantastic, just like he decided for himself one day to come back to the family and work for the family business. I have actually never asked him that and the same goes for Stefano. If you have proven one thing in the past 34 years, it is that you were able to keep the cool brand Diesel hot for multiple youth generations. What’s the secret formula? 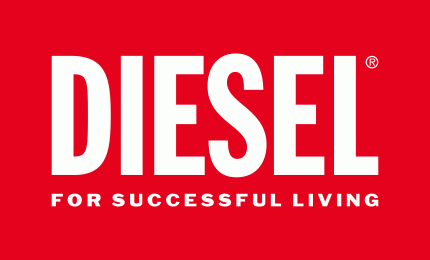 What is unique about Diesel’s brands and products. Renzo: First of all, to stay cool you have to keep the attention of your audience. I believe you need to do something different from the others. I spend so much time travelling the world to find new creative people, designers and select the best of them to bring in novelty and creativity in our company. This is important because these new guys and girls, they are virgins, not contaminated by business or by any previous experiences or relations. They fuel our brand and company with their fresh views and creativity. I mean, we know the industry from our side. Our job is to adapt the creative concepts to the market, to industrialize their talent. But anyway, the first way to be cool and stay hot is to have a nice and differing product. Today you cannot build a brand just by marketing, you need a great product and adapt all the marketing to the core strengths of the product not the other way around. Secondly I think to stay cool, you have to live the values of your company and brand. We never buy market research numbers, we don’t want to run our business like that. Of course we do a lot of research: we travel a lot, visit the stores, cities, watch how young people are wearing their clothes in the street, in bars in discos. When you watch people continuously, you learn a lot. Another success factor is to work in creative teams. It wouldn’t work if I would run Diesel as a dictator. In a team you make less mistakes and it enables us to have more fresh ideas. I also want our employees to be the first consumers of what we are producing. Of course you cannot force people to wear Diesel clothes all the time, but we stimulate them by giving good discounts on our clothes. If you are actually wearing the clothes you are selling, you experience the product, you feel when a certain pocket is perhaps too long or the fit is not like it should be. 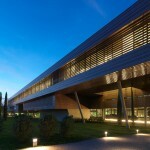 At Diesel we are specialized in finding new treatments, new little details in design and production. I think that is one of our core unique strengths in the industry. The DNA of our brand is the way in which we create our clothes, with so much effort and a meticulous eye for detail. I don’t think other companies have it to the same extent. We want to go in new materials, new designs, new details and new seasonal themes again and again. And that’s exactly why you continuously need to find new fresh blood, new creative designer teams who feel the spirit of the company and the passion for details. To me that’s the core success factor of the Diesel company. I like it very much when everyone is fond of the Diesel brand: from the poor to the richest ones. That’s fantastic. Sometimes when I’m jogging, parents stop me and say: hey Mr. Rosso, I hate you, you know, because my son only wants your jeans and here in Brazil it costs me one month salary to buy a pair of Diesel jeans. But what can I say, to create our products with this amount of research and design and detail, we cannot sell it cheaper. But it’s great to see how many young people are still in love with our brand. All around the world people admire me because to them I represent a simple guy, born in a farm in Italy who created a successful company. Is Diesel an innovation driven company? 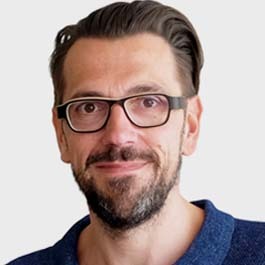 Renzo: Yes, innovation is important to keep your brand and product hot. It’s innovation in every small detail: from the usage of special fabrics, to the way your treat the fabrics in production, even the way you organize logistics, clean the shops, improve your service. Innovation is key in every division of our company. You once said in an interview that young people don’t like to buy new stuff, they prefer to buy products with an older, vintage look. So should you innovate but keep a vintage feeling for novelties then? Renzo: When I said that, I was actually talking about myself. I prefer an old house to a new one, because it has a soul, a certain smell of wood perhaps. A new house: that’s purely cement. I think our clothing is prettier because it looks vintage even if it is a new fabric, we treat so that it becomes more alive. This is also Diesel’s core philosophy to bring this kind of product to the market. Andrea, how would you describe the uniqueness of the 55DSL label if you compare it to Diesel or to competitors? Andrea: Well, “55” is actually the year that my father was born. And 55DSL was also born within Diesel and started as a capsule snowboarding collection with just 55 pieces in the collection. When it started like that in 1994, I was 16 years old and a fanatic snowboarder myself. And it was great because the 55DSL label could use graphics and prints and material that couldn’t be used by the Diesel brand to create technical and more sportive clothing. Of course I grew up with the Diesel mentality and I fell into the 55DSL label easily because the designs and style was very close to my own style and personal taste back then. It had a younger more outspoken, bold and colourful approach than Diesel. In the beginning, the technical values of the clothes were more important and it was more like an action sports brand. Today it’s more a lifestyle brand that’s still in touch with the street culture and lifestyle and it’s less technical. But this new approach, the new materials, graphics and fabrics gave a new feeling within the Diesel collection that allowed us to stay in touch with the younger, more active lifestyle. Would you say that 55DSL is keeping the Diesel brand hot or is Diesel making 55DSL cool? Renzo: For me it is both. Diesel will be 35 years old in 2013. Many of our customers grew older together with the brand. This implies we needed to have a more exclusive label. We did create the Black Gold label, sold in separate boutiques to stay in touch with the first Diesel generation that today is earning more money and wants something different. The Black Gold label offers more quality and exclusiveness at the top of the pyramid. But on the other side 55DSL is keeping Diesel alive for the youngest generation. In our new strategy 55DSL is integrated in the Diesel retail and strategy but keeps its independency in terms of creativity and design. I must admit that Andrea has opened my eyes multiple times while I was doing my research. Thanks to him I’m able to see things that will become important in 1 year from now. Let me give you an example. Since last season we have work wear in our stores, but it is very well done and it was actually Andrea who woke me up and made me realize we should do this work wear. It’s very nice to work with him, because he has an incredible memory. He knows every gallery, every photographer, every artist around the world in every town. He knows about their exhibitions and their work. Andrea also educated me to use the computer. He’s very familiar with blogs and social media and taught le how to use them. I think I make more and better use of these tools compared to people of my age thanks to him. I am on Facebook, I use Twitter everyday. It’s Andrea who gave me that curiosity and brought me into this new technology world. Andrea: Grazie, I didn’t even realize that myself. 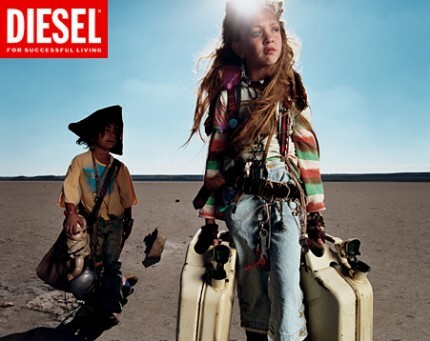 Renzo: Diesel’s children line was born because there was no upscale brand selling kids’ clothes when we started. I think it was 25 years ago and there was only department store clothes for children and I had young kids myself back then and wanted something different for them. And all my friends had kids back then so I decided to reduce the Diesel clothes in size and bring a collection for kids. 55DSL was created because when my kids were teenagers I went up in the mountains with them in the North of Sweden, the mountains between Norway and Sweden up North. And then I met young people snowboarding there and listening to Rage Against The Machine. I was so fascinated by this world, this subculture listening to certain music, having a certain clothing style and boarding. I fell in love with that culture and then decided to do the 55DSL collection. Just some sports clothes as a part of the Diesel collection. When Andrea decided to come back from the U.S., we decided to give it a more global lifestyle approach. In the past almost 35 years you saw Diesel grow from a small company, well to a big holding. At a certain point, didn’t you fear you were losing the grip AND the coolness of the brand? Because when a brand becomes big, there’s a risk of becoming to mainstream and uncool? Renzo: Many times. You know, especially when the OTB (Only The Brave) holding was founded with other brands I couldn’t spend all my time here and so I had to give a lot in the hands of managers who sometimes probably didn’t do their role the way I had wanted it. But I never really thought of becoming big. It was never my aim. I also believe that to stay cool you shouldn’t sell products massively to everyone. That’s why we have a big collection and you can go to different Diesel stores in the same town and still find different clothes. We educate our store managers to buy different items related to the target group of their specific shop. Today I believe our company has the right professional management team and I can offer them my 35 years of experience as a sounding board. For me, to stay cool, you have to keep your DNA in mind. We only want to make and sell stuff that is totally in line with Diesel’s DNA. That’s the only way to earn respect of your customers and maintain your status. I agree, and how would you personally describe the Diesel DNA in a few words? Renzo: Our DNA is to do something different than the others. And it’s about innovation and freshness. We are a group of people that try to do something 6 months or a year before the others. We want to stay fresh and modern. It’s an attitude. Andrea, I was wondering, wouldn’t it be easier to create a new cool brand like 55DSL from scratch rather than build it on the heritage of the Diesel brand? Andrea: Actually this was always an internal discussion. In 55DSL, the “DSL” obviously refers to DIESEL. But skaters don’t want to wear the big brands. Especially in the 90s there were so many independent skater brands and it is hard to become a credible urban brand when you are part of a big company. On the other hand the rich knowledge and innovation brought in by the parent company DIESEL is of course a big competitive advantage. Today, brands like Adidas and Nike are cool again and brands like Quicksilver bought so many underground independent brands. Youth is less craving for small independent brands. But it was very, very difficult to build the 55DSL brand from within the Diesel corporation. I think, when you talk with the right language and approach to the right people, you are able to connect with them. The 55DSL team is a small team and we have used this warm approach to connect with youth. We give young people a chance and a voice. The way we are working today with young creative film makers is a good illustration of this. I would call 55DSL an inclusive brand as opposed to small niche and exclusive brands. We are one big family. I want to meet a lot of interesting people, and as the creative face behind the 55DSL brand I’m very approachable and close to people. Although 55DSL is a smaller label, it’s amazing how many big brands have been looking for an association and corporation with us: Coca-Cola, Adidas, EA (games). How do you select the right brands to work with? Andrea: In many occasions it was more like a coincidence, like meeting friends of a friend or meeting someone working for Coca-Cola at a concert. We never really take a rational approach, it’s more what I feel we should or shouldn’t do. The other day I was chewing this Big Bubble gum and then decided to contact them to work together with 55DSL. It’s very organic.